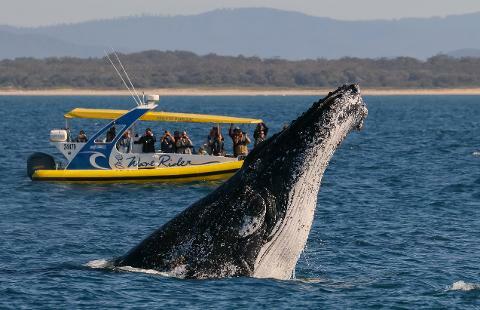 The yearly migration of the Humpback whales is one of the highlights along the East coast of Australia. 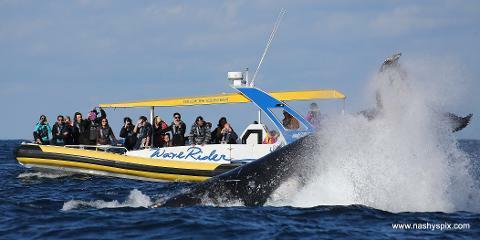 Port Macquarie offers one of the best vantage points to see whales as we are very close to the action. Just a short trip on our boat and our spotter on the hill will direct the skipper to the best sightings. 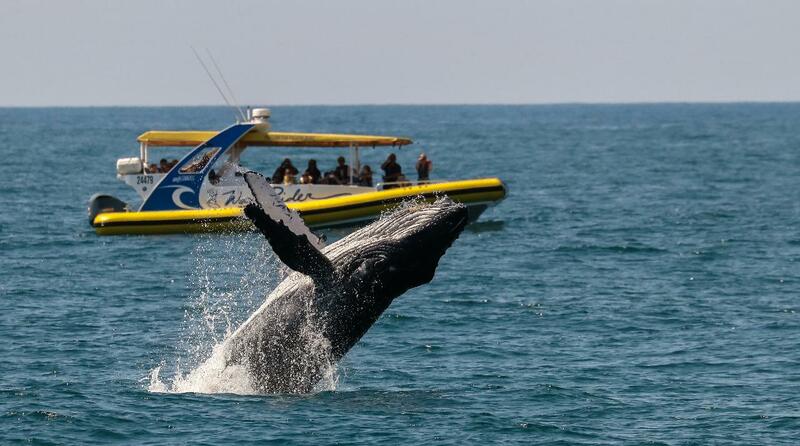 Our Waverider is an open rib boat which has a roof to protect you from sun and rain, at the same time allowing you a real close up to see these beautiful creatures. Sometimes you are able to hear and smell them as they swim on by. 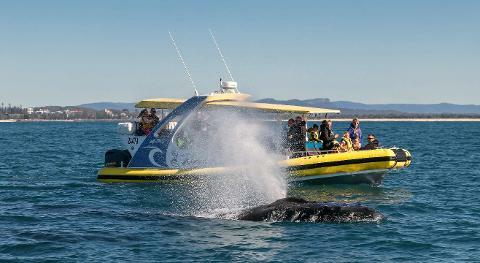 Some passengers have got to taste the experience when the splashing gets a bit close.... so be on the lookout! We are open every day of the season and schedule tours daily from the morning until late. Only bad weather prevents us from going out.